Which Business Card Is Better: Amex Platinum Or Delta Reserve? Update: This offer for the Delta Reserve for Business Credit Card has expired. Learn more about the current offers here. A couple of days ago we saw the introduction of a new best-ever bonus on the Delta Reserve® for Business Credit Card from American Express. This is Delta’s most premium business card, and one on which we don’t often see big bonuses, so that’s a pretty noteworthy deal if you’ve been considering this card. 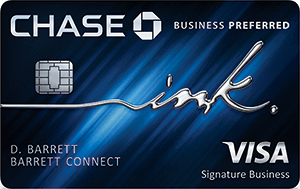 The card has a $450 annual fee (Rates & Fees), while The Business Platinum® Card from American Express has a $595 annual fee (Rates & Fees). These two cards have some overlapping benefits, so in this post I wanted to compare the benefits of the two cards, for anyone who may be trying to decide between them. The Delta Reserve Business Card has a $450 annual fee, and is offering a welcome bonus of 70,000 SkyMiles plus 10,000 MQMs after spending $5,000 within three months. This offer is valid through November 7, 2018. The $595 annual fee Amex Business Platinum Card is offering a welcome bonus of up to 75,000 Membership Rewards points, including 50,000 bonus points after spending $10,000, plus another 25,000 Membership Rewards points after spending an additional $10,000, all within the first three months. Obviously, this is a significantly higher spend requirement. So, which card is better? In my opinion the Amex Business Platinum Card is a card where the perks more than cover the annual fee for many consumers. If you value the $200 credit at face value, that makes the real “out of pocket” on the card $250 per year. Then I’d say the 10 Gogo wifi passes are worth maybe $15 each (conservatively), which is another $150 of value right there. Then you get a Priority Pass membership, access to Centurion Lounges, access to Delta SkyClubs when flying Delta, and much more. This is a card that in my opinion can be worth it even if you rarely fly Delta. With this card you can earn up to 30,000 bonus MQMs and 30,000 bonus miles when spending $60,000 on the card in a calendar year. 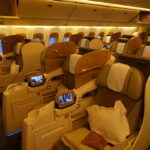 The companion certificate upon your renewal every cardmember year that’s valid for a domestic first class, Comfort+, or economy roundtrip ticket, basically helps subsidize that annual fee. Anecdotally I find Amex business cards to be pretty easy to be approved for, assuming you have excellent credit. Also keep in mind that these cards won’t count as an inquiry towards Chase’s 5/24 rule, if that’s a consideration. Do note that the Amex Business Platinum Card is a charge card while the Delta Reserve Business Card is a credit card. The distinction is that with Amex you’re typically limited to having five credit cards, but charge cards don’t count towards that total. The bonus we’re seeing on the Delta Reserve Business Card is the best we’ve ever seen, so if you’ve been considering this card, now is the time to apply. However, this card isn’t for everyone. Personally I think the card is ideal for any Delta elite member who values the ability to earn elite status through credit card spend, and who can get value out of the companion certificate. For a casual Delta traveler who is lured by Delta SkyClub access, I think the Amex Business Platinum Card is a much better option. The card has the same annual fee but offers lots of other valuable perks as well. The following links will direct you to the rates and fees for mentioned American Express Cards. These include: Delta Reserve for Business Credit Card (Rates & Fees), and The Business Platinum® Card from American Express (Rates & Fees). Quick correction Lucky: you can access Delta SkyClubs anytime with the Reserve card, regardless of whether you’re flying with Delta or not. Amex Plat vs. Delta Reserve. That was easy. Plus I believe another valuable benefit of the business card is getting 35% (it used to be an incredible 50%) of miles back when you redeem Membership Rewards on flights and you don’t get stuck with StyMiles and flying Delta. Rob, Delta is very clear in the terms that with the Reserve you must be flying Delta to get the lounge access. I think this is fairly new. As far as I’m concerned, on order to make that card compelling it should be a member + a guest, and whether flying Delta or not. Since it’s only 1 person and only when flying Delta, the only real value is the companion ticket. I have great luck redeeming the platinum coach companion tickets, but I’m not sure how difficult it is to redeem the first class you get with this card.